“Music has always been a part of my life,” she insists. Her family has had a strong influence on her life and singing. From her mother’s Native side, “many of my immediate and extended family are well-known dancers and ceremony and powwow singers. 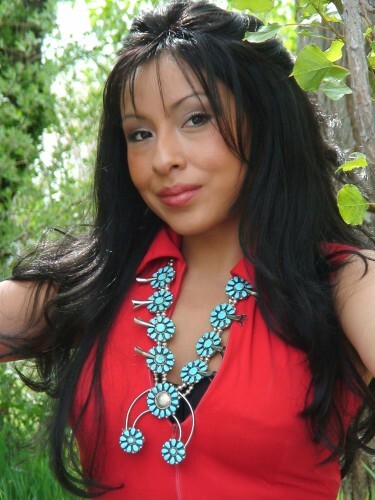 I learned to dance many different styles, including Jingle dancing and I’ve performed at many powwows.” From her Hispanic father’s side, both grandparents were live radio singers in Mexico and her aunt¬, Martha Chavez-also Victoria’s vocal coach and manager-is a professional singer. “My father can belt out a mean song too,” she laughed. Her heritage is a key component of her music. “It’s music that comes from the heart and soul,” she said. “When I write my music, they mostly deal with life experiences. I hope to someday write an entire CD dealing with my traditions and heritage.” She is extremely proud of who she has become, a blending of Hispanic and Navajo traditions, and is not hesitant to share who she is with her audience through her artistry. Her success comes from her talent, not her race. “I don’t think people are really looking at me because I’m Native American, I just feel I have a strong set of pipes and a strong Native community that has been very supportive,” she said. “I went to Japan at an early age because of my talent, sang at the Olympics because someone somewhere heard me sing the National Anthem.” Despite a shoestring budget, she has persevered in her career, counting on her natural talent and genuine personality to win people’s hearts. Judging by the thousands of her followers on Facebook and Myspace, she is succeeding. But it’s more than just belting out tunes to a listening audience, hoping to sell CDs. Victoria approaches each concert as an opportunity to connect with her audience, sharing her music. “Whenever I put on a show I’m taking them on journey through time, enjoying what the greats of country music started,” she said. “I get to do what I love best—and that’s singing country music!” She doesn’t have a favorite song to perform, either. “I have so many to choose from! I love to perform songs that I can have fun with and let loose,” she replied. Eventually she took that talent to Nashville in the 80s and her career steadily took off. But even so, she never forgot her roots. Her Cherokee heritage was the catalyst for her latest project, one she holds dear to her heart. “Three years ago, I embarked on the project of my life,” she explained. “I co-wrote a musical with Nick Sweet, called NANYEHI-BELOVED WOMAN OF THE CHEROKEE. 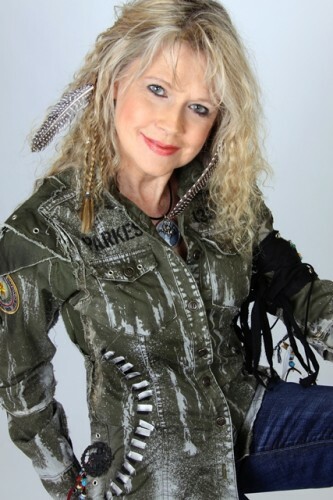 It’s based on the life of my fifth-great grandmother, Nancy Ward, who was a war woman-turned peacemaker in the 1700’s.” This past January, Becky released a CD of 17 songs written for the musical. But sometimes, it’s the audience that connects with her, and not the other way around. A while back, she was deep in the middle of a nine-country African tour. “One night, before the show, my band and I were told that over half of our audience had AIDS,” she said. “Before I went out on stage, I prayed for guidance, and before the show was over, we had the whole audience up on their feet, singing and clapping along. It made me feel good to bring some joy to people who were hurting. Music is so healing.” She knew that the audience hadn’t just connected with her, they moved her with their joy for life despite their circumstances. The Indian Country/Country Indian concert is free to the public and will be held rain or shine at NMAI’s Welcome Plaza. The museum is located at 4th and Independence Ave, SW on the National Mall. Closest Metro access is L’Enfant Plaza, which services the Blue, Orange, Yellow, and Green Lines. For more information, call 202-633-1000 or visit the museum’s website.